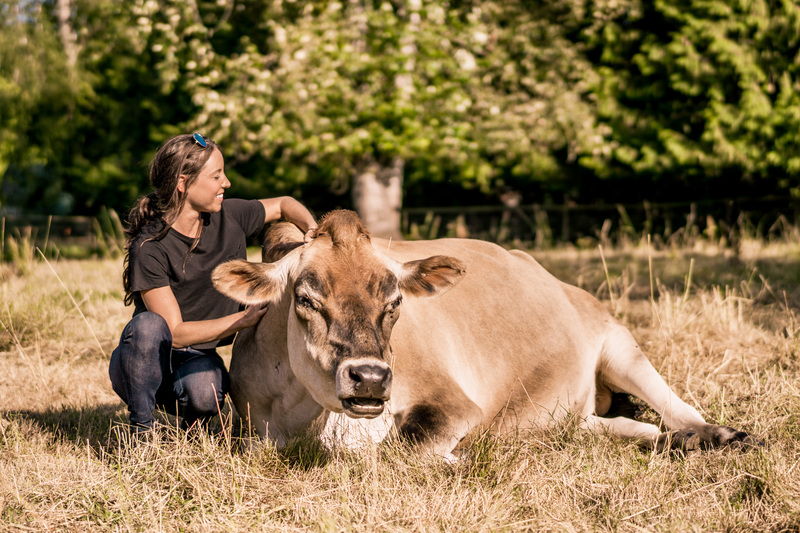 Happy Herd is the first farm animal sanctuary on the West Coast- they officially opened in 2014 and have since touched the lives of so many animals (and humans alike). The sanctuary is the most beautiful, peaceful, loving place I’ve been… I was in heaven! We got to meet all of the different animals that call Happy Herd home, including: Baby the Donkey, Larry and Moe- the resident turkeys, Lucy the pig, Sparky the Cow… and many more! I encourage anyone in the Vancouver area to visit Happy Herd! You’ll realize right away that these animals feel love, and deserve to be free and happy. I know one day we will live in a world where factory farming (and all other cruel practices towards our animal friends) will be a thing of the past, and we can move forward and radiate love and kindness to all creatures! Thank you so much to Diane and Stephen for having us. Your humble nature, and generosity is beyond inspiring. I will open my own farm animal sanctuary one day, and save as many babies as I can… The more love we give, the more we receive.